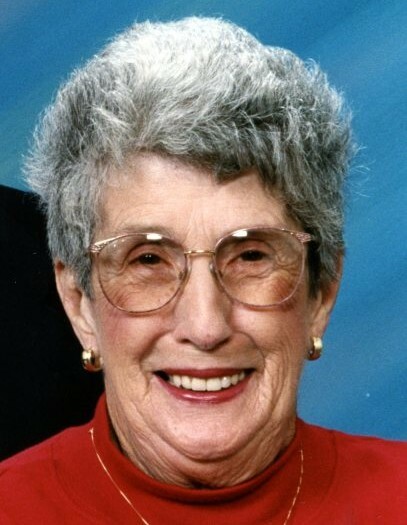 Louise B. Hill, 91, of Frankfort, passed away on Saturday, October 28, 2017, at Traditions of Chillicothe. She was born on July 22, 1926, in Ross County, to the late John and Etta McNeal Barnhart. On January 6, 1946 she married C. Kenneth Hill in Russell, KY, and he preceded her in death on July 16, 2010. She is survived by her son; Michael (Linda) Hill of Frankfort, her six grandchildren; Kenneth “Joey” (Hayley) Hill of Canal Winchester, John “Andy” (Lisa) Hill of Frankfort, Mara K. Hill of Cleveland, Adam T. (Teresa) Hill of Solon, Lauren Mullins of Broadview Heights, Ashley Foster of Cleveland, one sister-in-law; Mary Ellen Hill. She was preceded in death by one son; Larry Hill, one brother; Lloyd “Pat” Barnhart, two brothers-in-law; Robert and Harry Hill, one sister-in-law; Beatrice Hyer. Louise was a 1944 graduate of Frankfort High School. She retired from Social Security after 37 years. She loved her family and loved baking for them. She also enjoyed to sew and quilt. She travelled with her best friend and cousin, Nancy Detty to quilting shows everywhere. The family would like to thank the employees at Heritage for all their love and care of Louise. A funeral service will be held on Wednesday, November 1, 2017 at 11 am in EBRIGHT FUNERAL HOME, Frankfort with Pastor Paul Winks officiating. Burial will follow in Greenlawn Cemetery, Frankfort. Friends can visit with Louise’s family on Tuesday, from 4 to 6 pm.